So, a few weeks ago I wrote a piece on the relationship between User Experience and Design Thinking, exploring the connection between the two – and then I had a conversation with a friend of mine, a design professional, who wondered about another relationship, namely between Design Thinking and… Design. His question, basically, was “why use another term when it’s already called Design?”. Clearly, then, this article should be called “Design & Design Thinking” but as the talk went on, later also including another friend who teaches design, I realized that the issue is that older-than-dirt question we still haven’t agreed on an answer to: What is Design? OK, so the title should be “What is Design”, right? Should I change it right away? Well, I actually was going to use that title but, in exploring this question – nay, conundrum – I began to think that maybe the reason we don’t have a one-size-fits-all answer to it is that it depends greatly on how you relate to it, contextually, personally, professionally or whatever. In that sense it resembles such questions as “what is success” or “progress” – similarly, those are all but impossible to meaningfully answer without relation, without context. So basically, it you want to find out what design is, you have to consider what you’re asking – it’s a bit like asking for directions; you’re not likely to be helped by any amount of “take the first right, then left, and then second right after the intersection” if whoever is telling you doesn’t know where you’re starting from. Now let’s go back to the conversation, and the query about Design vs. Design Thinking, and let me try to explain, as I did to my friends, what I hope to acheive (and indeed hope we’re collectively trying to do) by insisting on this distinction. Basically, I believe using the word ‘design’ to mean all the things we’re currently using it to describe is almost insane. This one word is supposed to cover what people do when engaged in anything from creating jewelry to websites to airplanes, health care, buildings, shoes, computer programs, services – from the shape of a thermos to the characteristics of a customer relations management system… seriously, anything we can identify that such disparate fields as these (and worse, no doubt) have in common is either misleading or so incredibly generalistic as to be meaningless. Regarding the many meanings of the word “Design” here’s a little illustrative excercise you can try if you read another language besides English: – Compare the Wikipedia entries for “Design” in the languages you know. In this meaning, ‘design’ means nothing beyond ‘the result of a process of creation’, and if that’s what you mean then, well, it’s certainly true, but also it can be said to describe litterally anything from a pot pie to a space station with equal precision – anything that came into being via human intervention is covered. The concept is clearly lacking in accuracy when used like that. Another meaning of design which seems pretty well seated is that it means ‘the concern for aesthetics’ – this view sees design as separate from construction and, sometimes, function, and proposes that the goal of a designer is to make something look good, whatever that may mean for any given product. Oh yeah, and in that capacity design is almost exclusively done to products, since you can’t easily or meaninfully concern yourself with the aesthetics of a service or system (unless you do so by designing the physical framework it comes in). 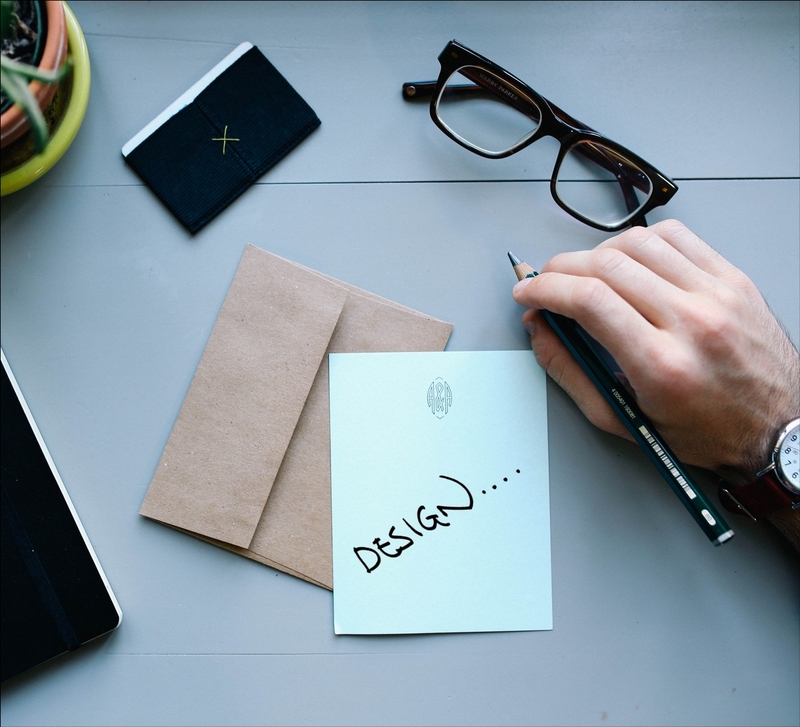 Of course, one way of addressing these issues is to append something to the word – ‘furniture design’ clearly narrows it down some, ‘automotive design’ perhaps less so because the result is highly complex, but using the word ‘design’ without any qualification should probably be completely avoided. Obviously, practical externalities etc. will be more important with projects towards the left end of the scale, whereas it’s the subjective internalities, the emotions and impulses of the creator, that carry the greatest significance for projects towards the right – everything on the scale is ‘the result of a process of creation’, and thus within the realms of design, but the differences can be very significant, depending on where projects fall on this spectrum. It should be noted, however, that even if one understands that idea (and agrees with it), this still isn’t very clear on activities that aren’t about physical products – which leads us to what this was about in the first place: why “Design Thinking”? Well, because ‘design thinking’ is, in my current belief, a workable solution to both those problems we seem to have with ‘design’: – the much-too-general problem is attacked by appending something to the word, even if it’s at the other end compared to what’s usually done, and the mostly-means-products bit, well, that’s why the appendage is the word ‘thinking’, which is meant to represent ‘the kind of thinking that goes on during a process of creation’, also known as creativity. Design Thinking means applying the tools of creation to solving problems not traditionally thought of as design challenges – or, more succinctly, Creative Problem Solving. It should be noted that it would be perfectly OK to call this something else if one wants to – I’m actually not that crazy about getting too hung up on buzzwords. What’s important to get across, though, is that employing the services of “a design thinker” means getting professional help finding out what benefit you and your project, whatever it is, might have from tools and methods like these – even if you’re involved in something that “normally” would not have you thinking about design or creativity. 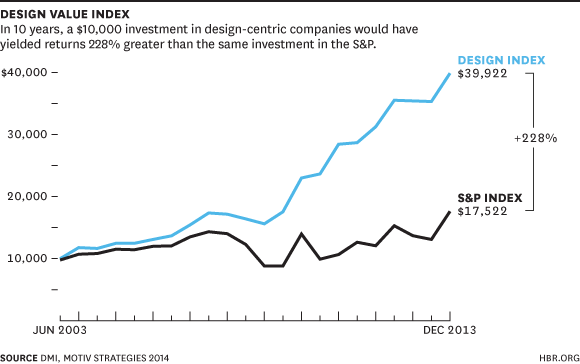 And since it already seems that investing in design outperforms regular investment – by as much as 228%, according to this article from Harvard Business Review – it’s probably worth looking into. You’re almost certainly going to find some useful and valuable benefit from this. So that’s the deal with “Design & You”.